This is the perfect fall dessert to make! 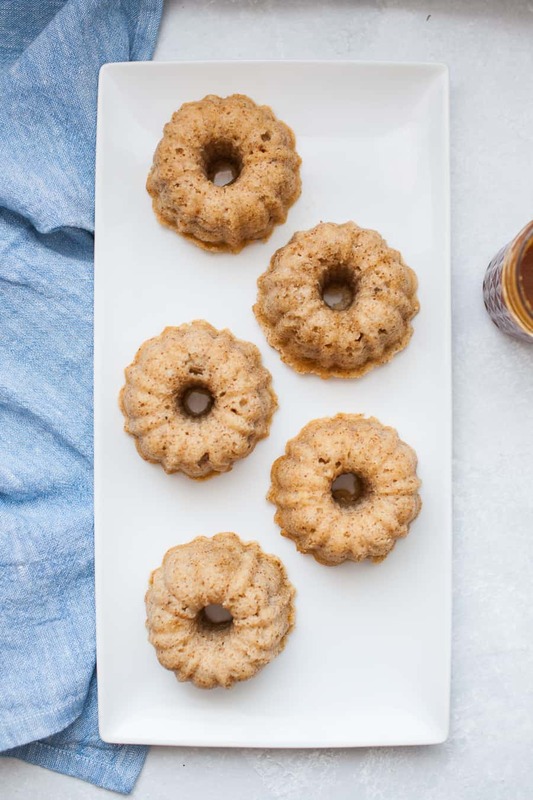 Apple Spice Mini Rum Cakes are a twist on pound cake, made with fall spices like cloves, ginger and allspice, spiced rum and crisp apples. 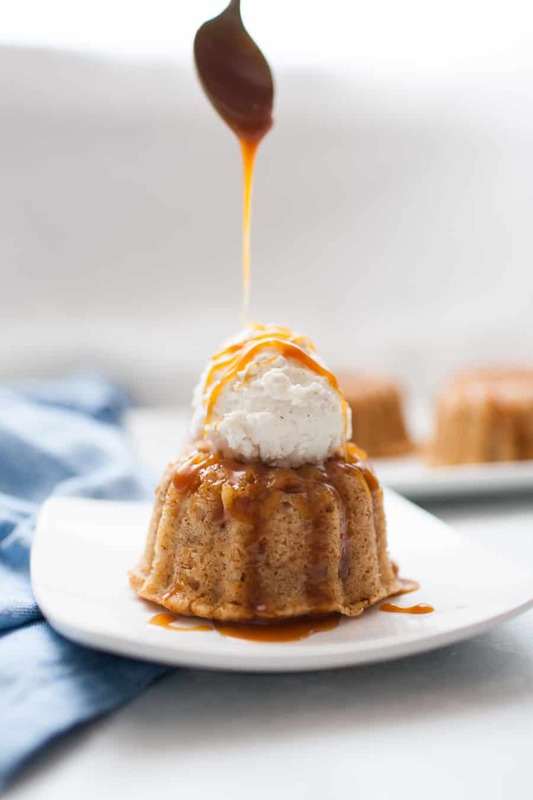 Serve it with a homemade spiced rum caramel sauce and top with a scoop of vanilla bean ice cream. This blog post was originally written as a guest post for my sweet friend Erin from The Speckled Palate. You can find the original here. When Erin first asked me to write a guest post for her during her maternity leave, my wheels began turning. I pretty much knew I wanted to do something dessert related because any excuse for baking is something I quickly accept. As we were looking in our pantry one day, my husband said to me, you should make a dessert with this spiced rum in it! Okay, husband, I will do just that. We have a pound cake recipe that’s been in my husband’s family for 100+ years. It happens to be my husband’s #2 weakness when it comes to dessert. This is his first. So when he brought up the idea of using the spiced rum, I immediately thought of doing a spiced rum pound cake. Everyone goes bananas for pumpkin in the fall and I do too, don’t get me wrong, but I also go wild for apple season. I love apple desserts, using apples in cooking like this apple pork tenderloin dish, and this seemed like a natural fit to pair the sweetness of crisp, Granny Smith apples with the spiciness of the rum. Rum cakes are simply just cakes with rum in them, imagine that. So this apple spice rum cake is our family pound cake recipe, apples, fall spices like ginger, cloves and allspice, and the spiced rum. Now, I will add in a disclaimer here that I probably wouldn’t choose to drink spiced rum on its own. But in this cake? Heck yes. 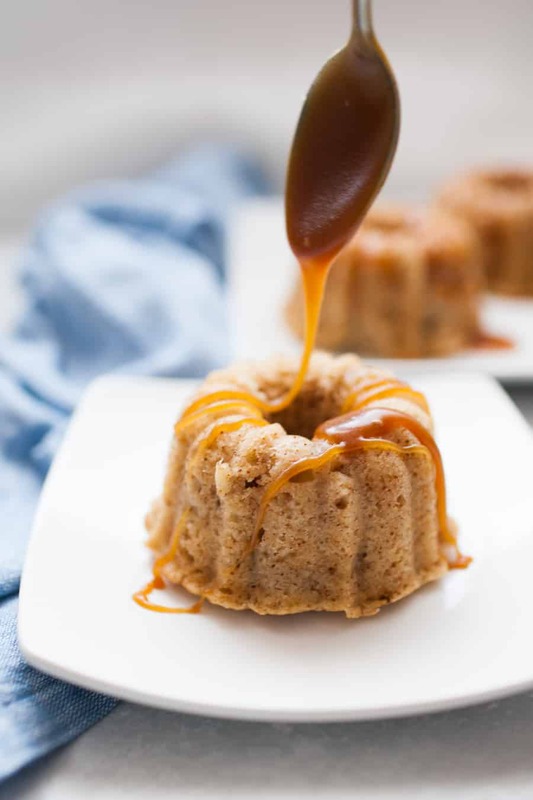 Especially when this cake involves this caramel sauce. Oh, caramel sauce. Easily my favorite sauce choice for desserts. 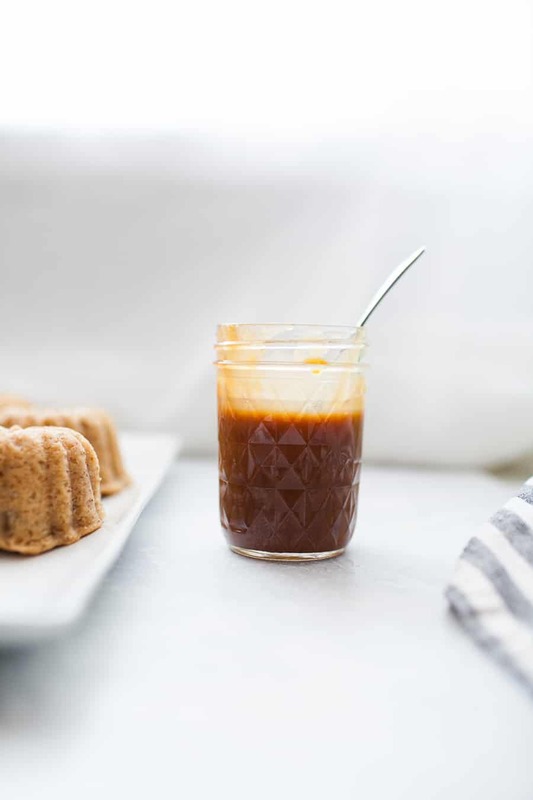 This homemade spiced rum caramel sauce is super easy to make. If you’ve never made homemade caramel before, don’t be nervous. It’s really so easy to make, I promise. How do I make homemade caramel? Homemade caramel is made simply by cooking sugar on the stove on medium heat, stirring constantly, until the sugar begins to clump up and then melt. As you continue stirring, the sugar will being to change color to an amber color. After the sugar has all melted, remove pan from heat, stir in butter until melted, then add heavy cream. After it is all combined add to stove again and cook on low to medium heat for 3-4 minutes, allowing the caramel to bubble and thicken. 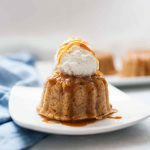 How do I make boozy caramel sauce? 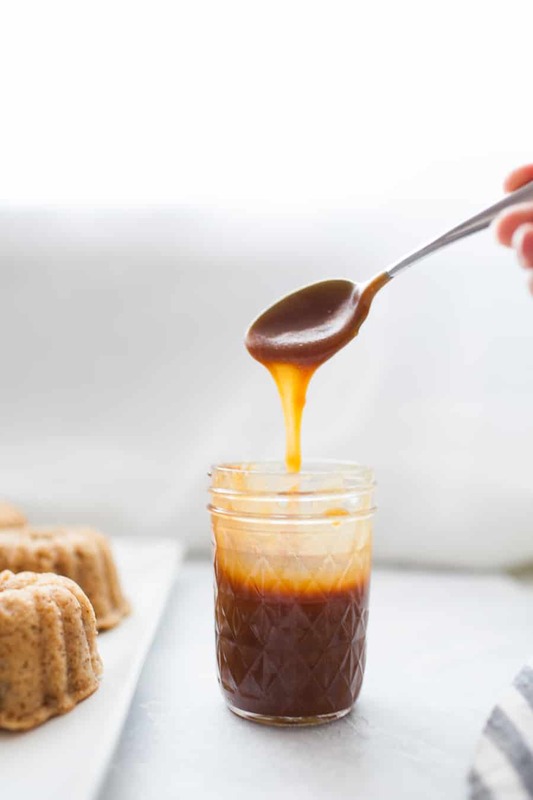 Follow the steps to make homemade caramel sauce. After your sauce is done, pour 1-2 ounces of liquor into caramel sauce and stir. The sauce will be watery. Let it sit until it thickens back up. Place in refrigerator to thicken even more or to store. Baking is a funny thing. It’s waaay more scientific than cooking, I definitely can’t just throw some ingredients together and hope for the best. It’ll probably end up looking like those iconic Pinterest fail images. BUT, I’ve found that having tried and true base recipes to tweak makes experimenting with baking so much easier. 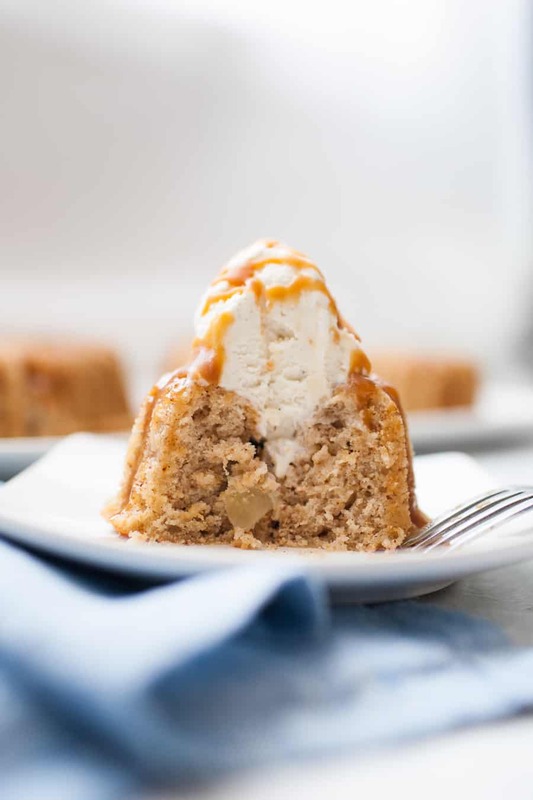 So, the example here is starting with our 100-year-old family pound cake recipe and tweaking it to turn into this fall apple rum cake recipe. One of the greatest parts about this recipe is that the rum is baked out but you still get the flavor so this is perfect for mamas to be, too. 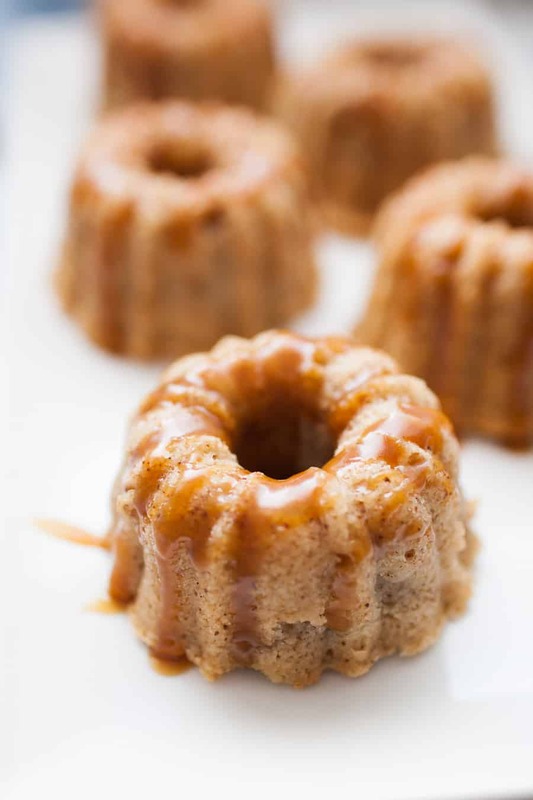 And after baby comes, you can indulge with the spiced rum caramel sauce poured on top. 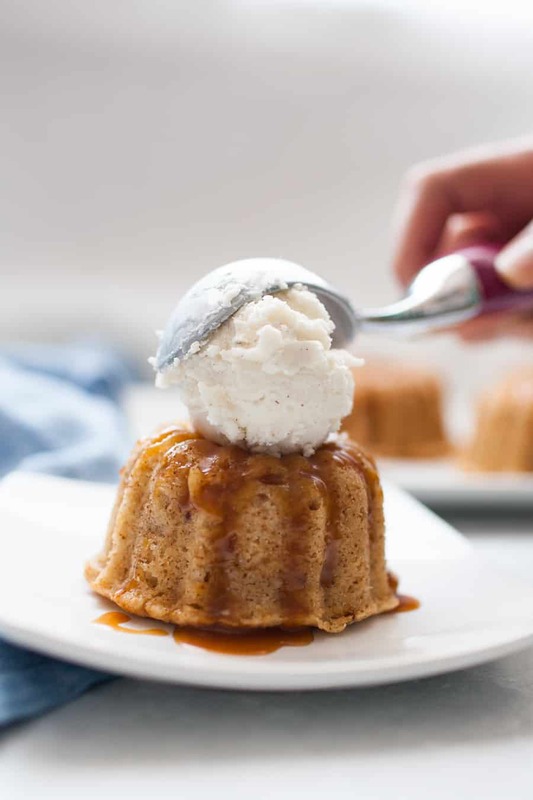 Speaking of pouring some caramel sauce on top, how else can you eat this apple spiced rum cake? Well, pretty much any way you please. Eat it cold out of the fridge, warm it up and top with ice cream, make it feel healthy-ish with a scoop of plain Greek yogurt. No matter how you choose to eat it, it’s gonna be delish, I promise. Is there any alcohol in rum cake? Yes, there is. If you omit the spiced rum caramel sauce, it will just have the lovely taste from the spiced rum, without the alcohol content. What spices are in rum cake? 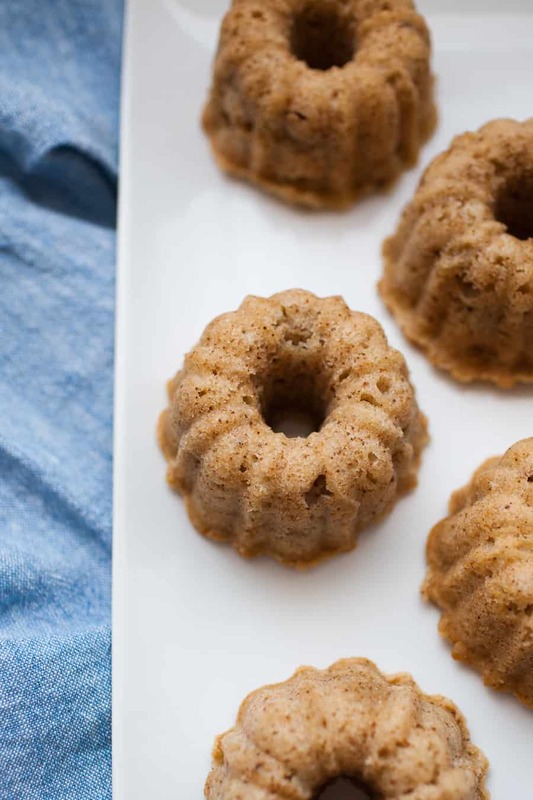 This fall apple spice rum cake has allspice, ginger and cloves. Can I make this without rum? Absolutely. Just skip over that ingredient if you prefer it to be non-alcoholic. 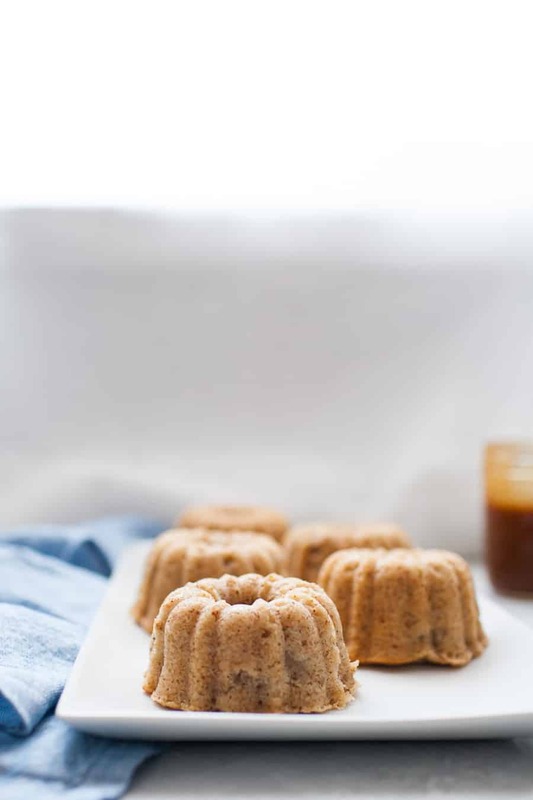 What do I need to make these mini spiced rum cakes? 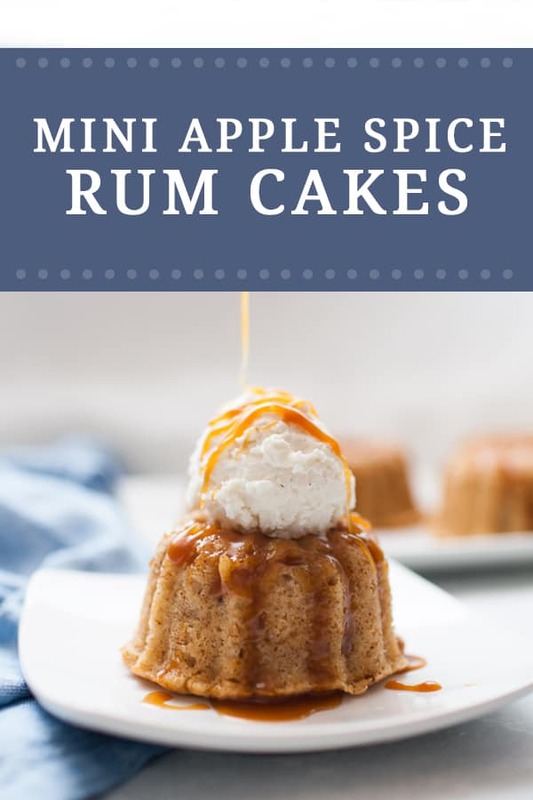 What else can I serve with Apple Spice Mini Rum Cakes? Preheat oven to 325°. Grease a mini bundt pan and set aside. Melt the butter. Mix with sugar and vanilla. Add in flour, baking soda and spices to mixing bowl and combine. Gently fold in spiced rum, Greek yogurt and apple. Pour batter into mini bundt pan, about 2/3 of the way full so each spot is even. Bake for 27 minutes or until a toothpick comes out clean. Allow cakes to cool in pan for 3-5 minutes. Then carefully flip pan over a wire cooling rack. Leave upside down for 5-10 minutes. At that point cakes should fall right out when you lift the pan up. If not, give the pan a little shake and they’ll fall out onto the rack. While the cakes are cooling, measure out your ingredients for the caramel. Add sugar to a small saucepan and turn heat to medium. Using a silicone spatula, stir around the sugar constantly. Clumps will begin to form and then sugar will begin to melt down to be a smooth, clear liquid. You’ll see the sugar pulling away from the pan as you stir. Allow the sugar to melt for just a few minutes, then remove from heat and add in butter. Whisk until completely combined and the sugar is starting to have an amber color to it. Then add in heavy cream and whisk completely. Return to heat and let caramel bubble and smooth out for 2-3 minutes. Remove from heat again, add in spiced rum and mix it in. Let caramel sit and cool for 30 minutes or until it thickens and solidifies again. 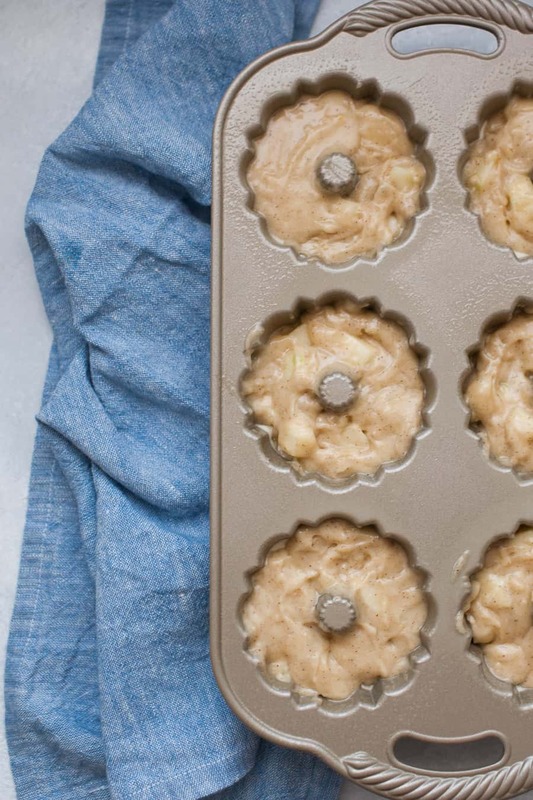 If cakes are cooled down, reheat them for 30 seconds in microwave. Drizzle a generous amount of caramel on top of the cakes. Then top with a scoop of vanilla ice cream. Then drizzle more caramel on top. Be sure to reheat cakes for 30 seconds before drizzling caramel on top and serving. I just found your blog via Pinterest and its so amazing. I love all your recipes. Going to try them soon.